THE mother of a man who died in Maghaberry prison more than 17 years ago has won the right to challenge the decision of the coroner to grant anonymity to the prison officers who gave evidence at her son’s inquest earlier this year. Mr Justice Treacy today (Wednesday) granted leave to seek a judicial review to the family of James Carlisle McDonnell (36) from Antrim who died in the jail in March 1996 shortly after an incident with officers in which he was grabbed by the neck. As previously reported by The Detail, at an inquest hearing in May this year a jury found that the neck injury suffered by Mr McDonnell during the altercation led to stress that contributed to his fatal heart attack later that day. During the course of the inquest proceedings a number of witnesses – all serving or retired prison officers – successfully applied to the senior coroner, John Leckey, for anonymity and screening. The decision was made after risk assessments on the level of threat to prison officers from dissident republican and dissident loyalist terrorists were provided by an independent body to the Coroner’s Court. The documents claimed that if anonymity was was not granted the risk could substantially increase. During the inquest all but two of the prison officers (retired and serving) who were called as witnesses applied for both anonymity and screening measures to be taken when they gave evidence to the inquest. A further prison service employee (a hospital officer) did not seek anonymity or screening. After the inquest the legal team for Mr McDonnell’s family’s wrote to Mr Leckey and asked him to reconsider his ruling on anonymity for those prison officers who gave evidence at the inquest. However in August this year the coroner refused the family’s request because he was “functus officio” – he has fulfilled his role and his involvement in the case has expired. Today’s hearings heard submissions from The Coroner’s Service and the Northern Ireland Prison Service, seeking to have the anonymity orders upheld. Representing the coroner’s service, Gerry Simpson QC said: “The effectiveness of the inquest has not been undermined because of these anonymity rulings. The inquest is therefore closed and should not be revisited”. “This is a leave application and the threshold for leave is modest. I’ve heard from representatives of the McDonnell family, the prison service and the coroner’s office. This is a case that does merit further consideration, but there is clearly material and other issues that need looked at. I am concerned about the delay around this case, but I’m not prepared to dismiss leave on those grounds”. A two-day judicial review hearing is expected to be organised for early 2014. 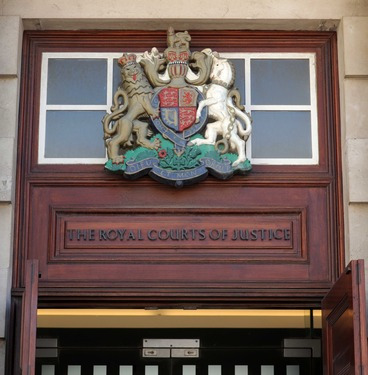 Today’s court heard that one of the prison officers who gave evidence at the inquest last May and came to be known as Officer H did not initially apply for anonymity but shortly before the inquest began submitted an application for both anonymity and screening. By that time the McDonnell family had been provided with all of the papers in the case, including statements and other documents where that officer was identified by name. The family’s barrister Ms Karen Quinlivan QC said the family had therefore been able to identify the officer as one with a particularly high public profile. Ms Quinlivan QC pointed out that he was an officer who had also spoken at length in media interviews and had provided affidavit evidence openly in judicial review proceedings. She said that, given these circumstances, and in light of the nature of this inquest, concealment of his identity in connection with these proceedings would not afford Officer H any additional protection. The McDonnell family’s legal team concluded that the coroner’s decision to prevent the general public from knowing the identity of the witnesses had the potential to protect them from effective scrutiny or adverse comment about their roles in James McDonnell’s death. The jury inquest verdict in May 2013 prompted Mr Leckey to ask the Director of Public Prosecutions to investigate if a criminal offence had been committed.